Sam runs an Electric casino in the troll forest with the troll queen Sandra and their daughter Maggie. Passionate about all things electric Sam has powered up his casino with homemade connections. He has a big heart and wants everyone to have a good time and win big. 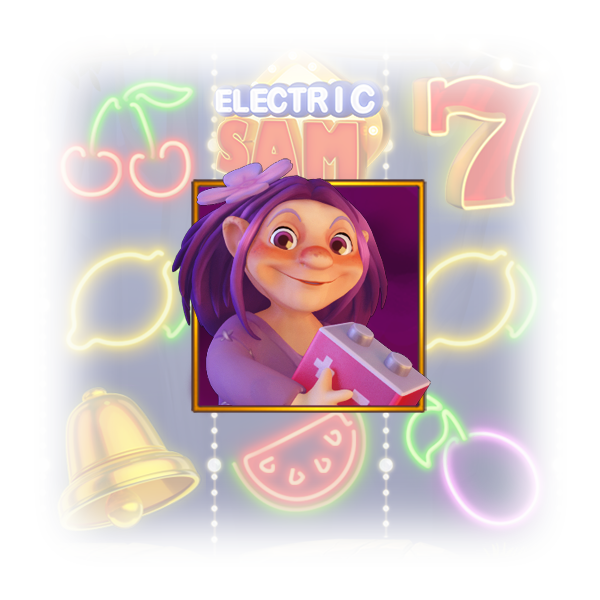 Electric Sam is an action-packed fruit slot with 243 ways to win and the chance to win 200 000 coins. The game comes fully charged and loaded with Electric treats such as Sticky wilds, Multipliers and Imploding symbols. Sandra is Sams total opposite, cool and sofisticated – for a troll! Sandra would never settle for second best. That’s why she treats you an efficient multiplier every time you hit her in Free spins mode. Maggie was born and raised in Sam’s casino. She loves her dad and mum, although she’s in a rage against some of the things her parents do. Maggie’s Electric treat in Freespins mode is to take out all annoying fruit symbols with an IMPLODING SYMBOL battery zap and simultaneously sneak away herself. The year 1276 was trolls was mentioned in the written literature in Magnus Håkonsen’s laws that says “it is illegal to attempt to wake the “mound-dwellers” and the actual word “troll” was used as well. 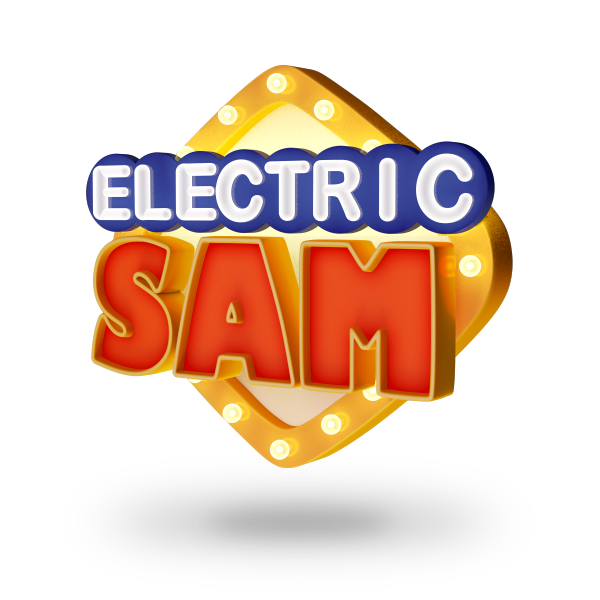 It took 613 different items and coding files to put the game Electric Sam together and 185 of those are graphics for the game, and 52 are for music and sound effects. Electricity travels at the speed of light – more than 186,000 miles per second! The most famous artist considering troll images in Sweden was John Bauer that died only 36 years old. From the year 1907 to his death, 1918, he painted endless amounts of troll images. Sticky wilds, Multipliers and Imploding symbols in Freespin mode. For the optimal gaming experience, ELK Studios recommend launching the game in 1440×900 resolution. If scaling is required, use 16:10 ratio.